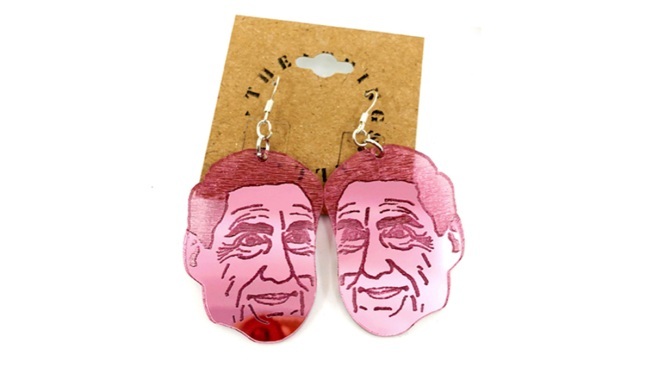 In this undated photo provided by Carmen Martinez, a pair of earrings bearing the face of special counsel Robert Mueller are shown in New York. Carmen Martinez and Karen Walcott, owners of "all of the things," have sold 500 Christmas ornaments and earrings with Mueller's face. They tend to get a rush of orders after major Mueller news: indictments, sentencing, etc. At Christmas, her teenage son brought home a 10-week-old chocolate Lab. "The strong, silent type," Barnett observed. And then she named him Mueller, an homage to the stoic special prosecutor appointed to investigate Russian interference in the 2016 election and whether members of the Trump campaign played any part. Former Trump Campaign Chairman Paul Manafort was sentenced on Wednesday by a federal judge after his guilty plea to two conspiracy charges last September. He now faces a total sentence of 7.5 years in prison from cases in Virginia and Washington, D.C., that stem from special counsel Robert Mueller’s Russia investigation. 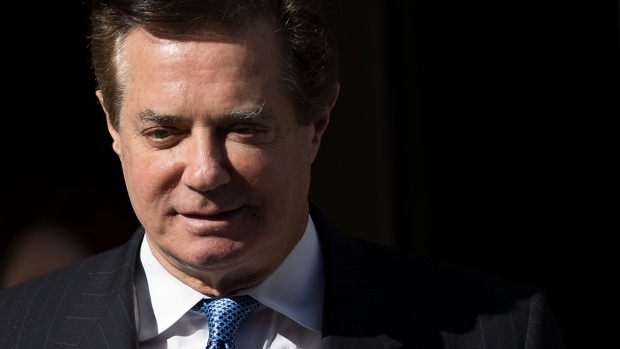 Paul Manafort, President Donald Trump's former campaign manager, was sentenced on Thursday to 47 months in prison for tax and bank fraud. 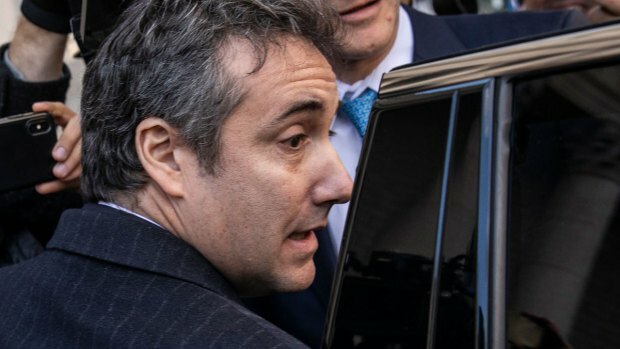 President Trump's long-time lawyer, Michael Cohen, is preparing to testify to Congress next week. Another Trump associate, Roger Stone, was ordered not to talk about his case at all after apologizing for posting a photo of the judge with a target next to her face. Meanwhile, special counsel Robert Mueller is expected to report any day now.